BusCon Expo is a 3 day event being held from September 19-21, 2016 at the Indiana Convention Center in Indianapolis, United States Of America. David Bakare, the owner of Executive Coach Builders, sees exhibiting at the annual BusCon as another avenue to expand the business and showcase the company’s latest creation. 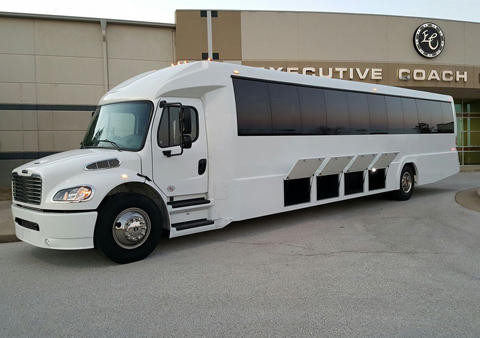 Just over a year ago, David Bakare purchased a facility in California where his main focus was the creation of luxury buses. The company is always trying to stay ahead of the latest trends and remains focused on building the best vehicle it can. “The day you stop developing, that’s when your product starts dying,” he says.